“I wanted to take a moment to thank you for all the great and wonderful toys that you and your team donated to our youth in care this holiday season! 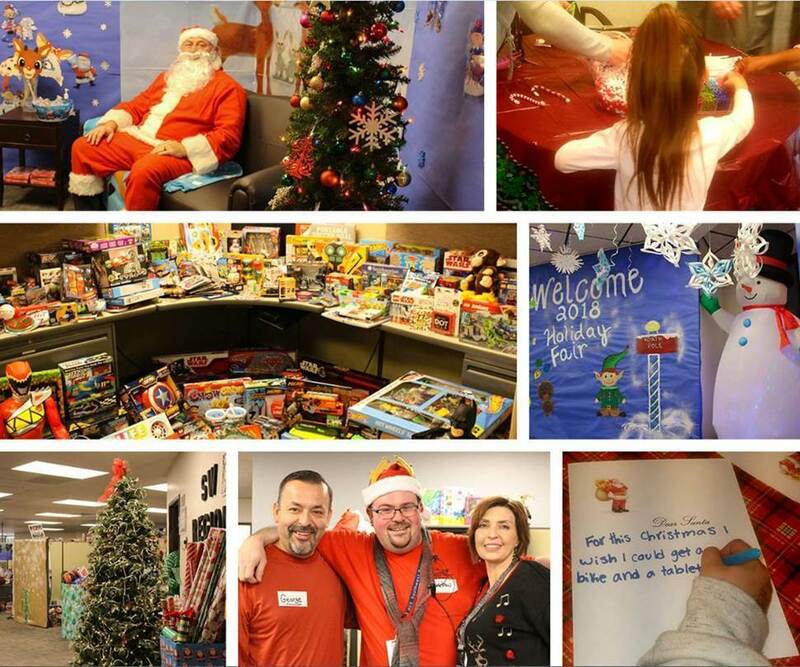 Each year, we are humbled by the magnitude of gifts that are given from Arizona Helping Hands. You surpassed our expectations and donated more than we could have ever expected! We literally had enough toys for all the youth that participated in the event and as a result, our event was a complete success; we could not have done it without you! Let me recount a moment that touched my heart: a young boy stood in front of the area marked “boys age 6 – 8” with eyes wide and mouth open. He picked up a box that contained 3 large Dinosaurs… then dropped it when he saw a box of Legos… then dropped it when he saw the 2-foot-tall Star Wars Action Figure… then put it down when he saw an inflated colorful soccer ball… then put it down and went back to the box that had the three Dinosaurs. He said, “this one.” I asked him, “are you sure?” to which he nodded. His foster mother said he LOVED Dinosaurs but was so overwhelmed by the fact that he got to choose anything he wanted that he second-guessed his decision. But sometimes, you just have to go with your gut! That little boy walked away cradling his box of Dinosaurs with a smile on his face. These shimmering moments were saturated in each gift that we gave out. Know that you have made a difference not only in the community, but in our hearts. A quote by Jessy and Bryan Matteo reads, “even the smallest act of caring for another person is like a drop of water. It will make ripples throughout the entire pond.” Surely this was in reference to Arizona Helping Hands and their great impact on those in society who need a community surrounding them!